The WHBD tee was inspired by the Winter Xscape 2017 trip to Curacao. The water was so clear that it just made you want to hit the beach and drink. Get one today by selecting your size from the drop-down menu and clicking Add to Cart. All shirts come with free shipping and start at $15. 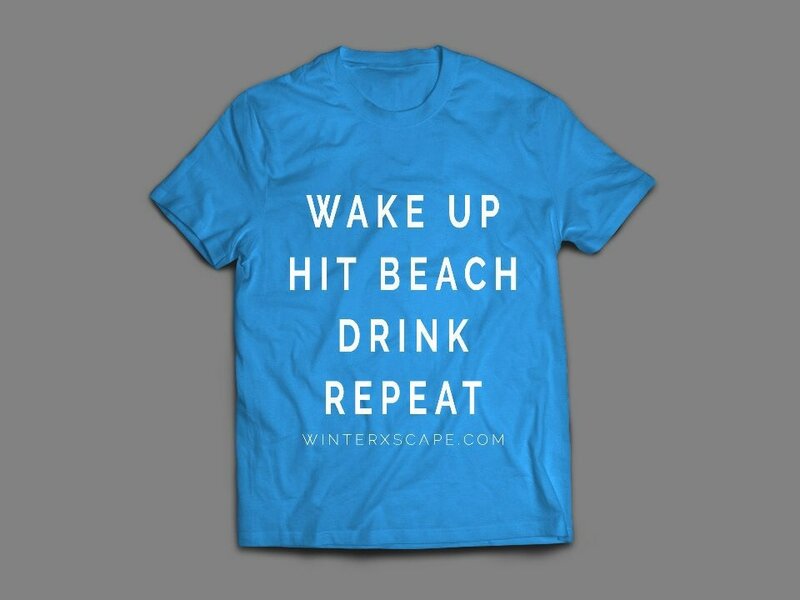 To order a size not listed please email winterxscape@gmail.com with #WHBD in the subject line.